The Marsala Zabaione made by La Talpina is a smooth sweet cream made exclusively with fresh eggs, DOC Marsala and sugar, without added flavouring or preservatives. Excellent unaccompanied, this zabaione is divine added to fresh fruit with whipped cream and it's ideal for cake fillings and toppings. Ingredients Fresh eggs, Marsala DOC wine 38%, sugar: ALLERGENS: wheat flour, butter, nuts For more information on product labels, please contact our Customer Service department. The information on the labels of the products may vary for reasons beyond our control, therefore, there may be discrepancies between the information on the site and that on the products delivered. Please always check the information on the product before consumption or use. Sara and Franco Bignante make the most classic local specialities in their bakery in Genola (Cuneo), always acting in strict compliance with the traditional recipes. 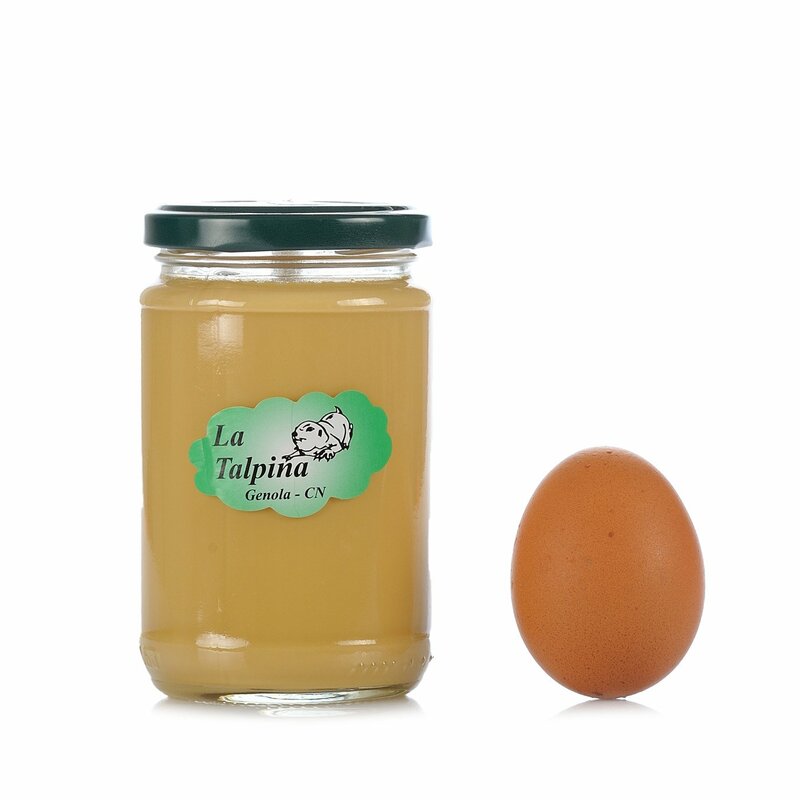 Their company, called La Talpina, offers a range of products to allow consumers to rediscover the wholesome foods of times past, artfully made in deference to the family values that outline the philosophy and essence of the delicacies chosen by Eataly.